It’s never a dull moment with actor-comedian Sunil Grover around. The spreading joy and laughter on the small screen with his popular characters like Gutthi and Dr Mashoor Gulati, Sunil is all set to tickle the audience’s funny bone on the big screen as well. Even, Sunil shared the first look by posting, “Aa raha hoon yudh machane” . From the looks of it, we can say that Sunil is all set to recreate his magic on the silver screen as well. And from the description that Bhardwaj gave to his character, we can assume that Sunil’s character is named ‘Dipper Naradmuni’ and perhaps he is the reason why the two sisters played by Sanya Malhotra and Radhika Madan, are constantly at war. ‘Dangal’ fame actress Sanya Malhotra in a never-seen-before avatar will leave you stunned as she is almost unrecognisable as Chhutki. Along with these first look, the makers of the film also announced the trailer’s release date. 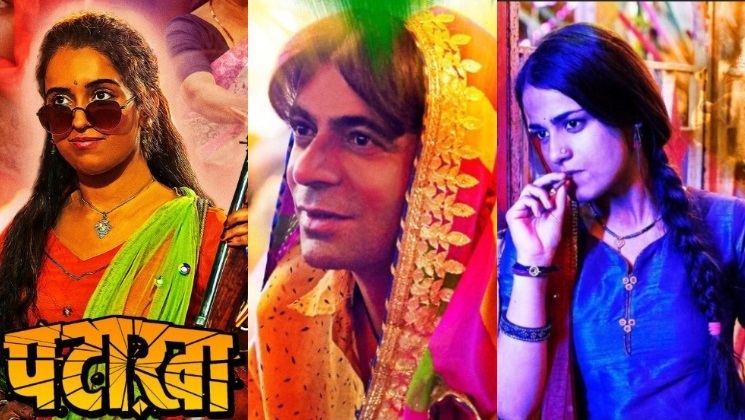 Yes, all you cinephiles, you won’t have to wait long as the trailer of ‘Pataakha’ will be unveiled on August 15. Helmed by Vishal, ‘Pataakha’ is adapted from Charan Singh Pathik’s short story ‘Do Behenein’. The film is all set to hit the silver screens on September 28.